in case you haven't you haven't heard, halloween has arrived! my favorite time of year for blogging because i get to be ridiculous, have fun and share it with you. 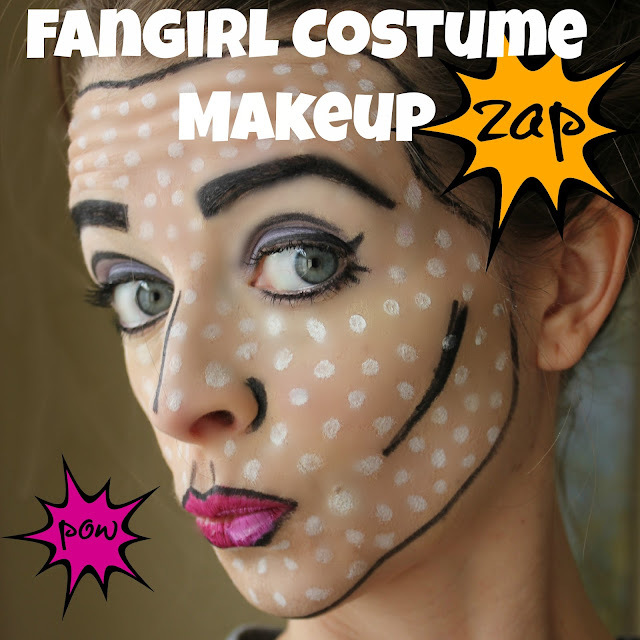 even though my costume makeup skills are nil i love doing these tutorials. maybe they will spark some ideas for your own costume or give you a push in the right direction. regardless, they are usually a good laugh (Tman and i still crack up at my pirate makeup tutorial - ARRRGGGHH). ps. any requests? please leave them in the comments section. Awwww it's a fun make-up, like it! Thanks Vanessa, these always make me laugh and cringe at the same time. red dots vs white dots? I think you can do either!